Professional Formula Drift racer Justin Pawlak proved last year how reliable Ford Performance’s Aluminator crate engines actually are. Making over 800 rwhp while being brutally abused in the rigors of drifting, JTP’s team didn’t need to do anything more than change the oil in his 2013 Mustang. For 2016 Pawlak is building a brand new S550 chassis Mustang with, you guessed it, a 2015 Ford Performance Aluminator crate engine. 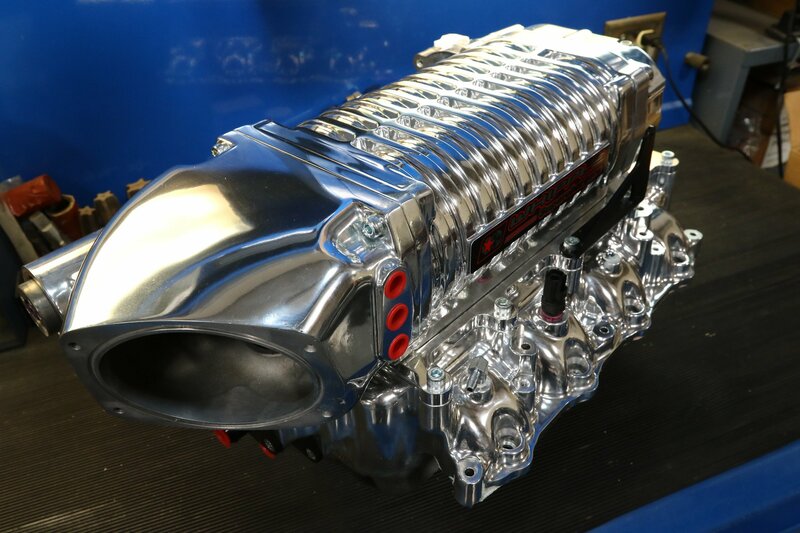 While last year’s engine was the low compression 9.5:1 version, this year Pawlak opted for the 11:1 Aluminator. 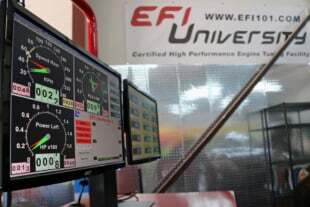 Eric Rhee from Westech manned the dyno while Blaine Dover handled the calibration changes. 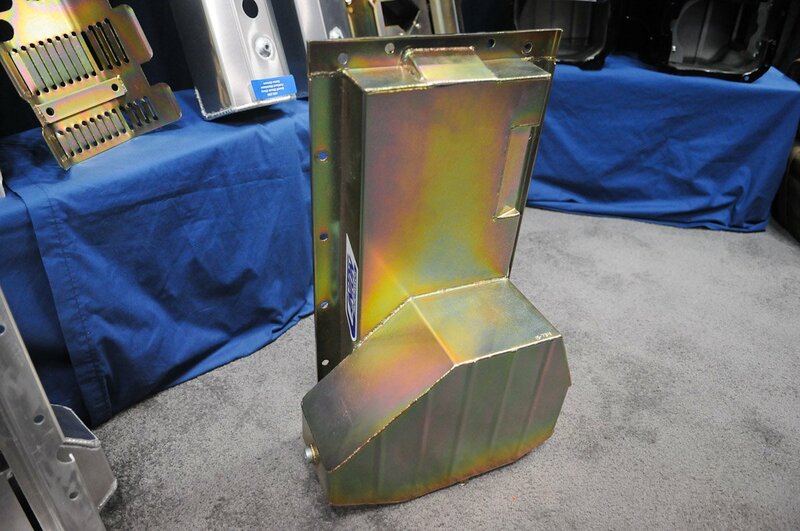 The short-block of the 2015 Aluminator is largely similar to the out going 2011-14 Aluminator. The same factory block and forged crank are used, though the slugs are updated to Mahle Hard Anodized forged pistons with Grafal low friction coating, while the Manley H-beam connecting rods feature ARP 2000 bolts. 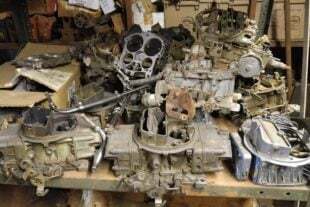 The bottom end still includes BOSS 302 rod bearings, high capacity oil pan, and billet oil pump gears. The top-end of the engine is where the updated 2015 Aluminator shines. 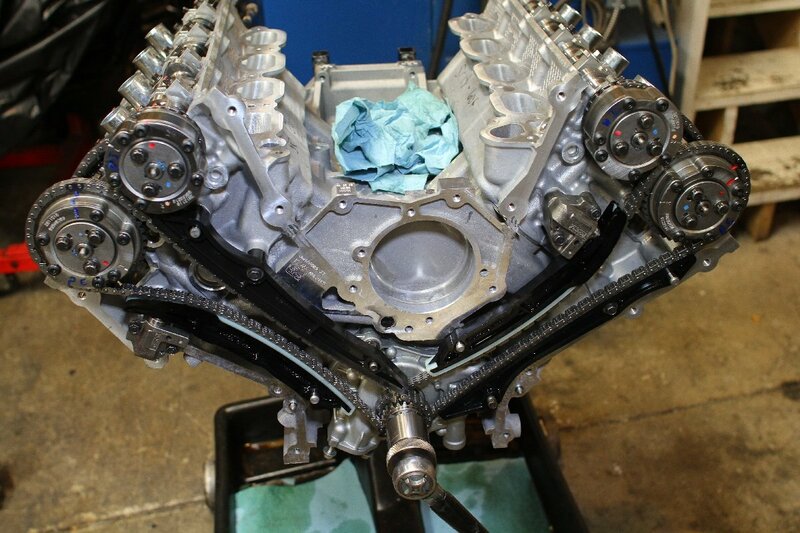 Revised cylinder heads in cast form flow as much as the out-going BOSS 302 heads. 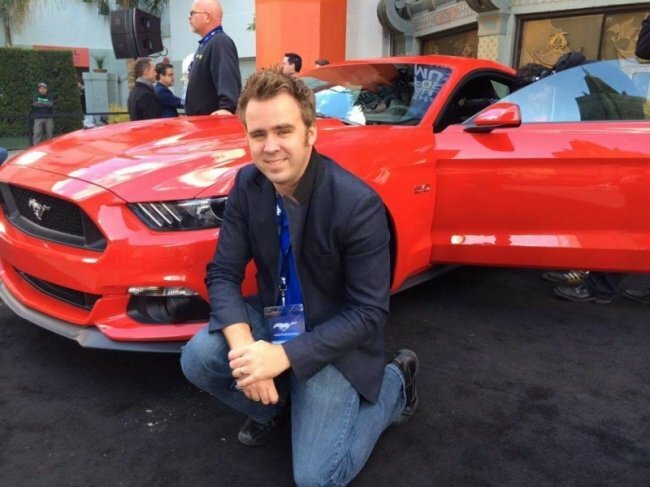 Updated lobe profiles on the 2015 Mustang cams also come with increased lift — 13mm (+1mm) on the intake and 13mm (+2mm) on the exhaust, while the duration remains the same at 260/263. Pawlak’s Aluminator is completely stock internally. Aiding to make the additional horsepower is Roush’s updated 2.3-liter TVS supercharger, driven by a VMP Performance/ATI 8-rib conversion. Drifting drivers are constantly on and off the throttle, so the increased belt width is a requirement to minimize slippage – and subsequent loss of boost – during a run. Radium Engineering fuel rails sit atop Injector Dynamics 1700cc injectors that in turn spray Ignite Red 114 racing fuel, which is a blended fuel mixture with around a 90% ethanol content. A standard Ford Performance Controls Pack tells the engine what to do while Blaine Dover from Roush Performance handled the tuning duties. 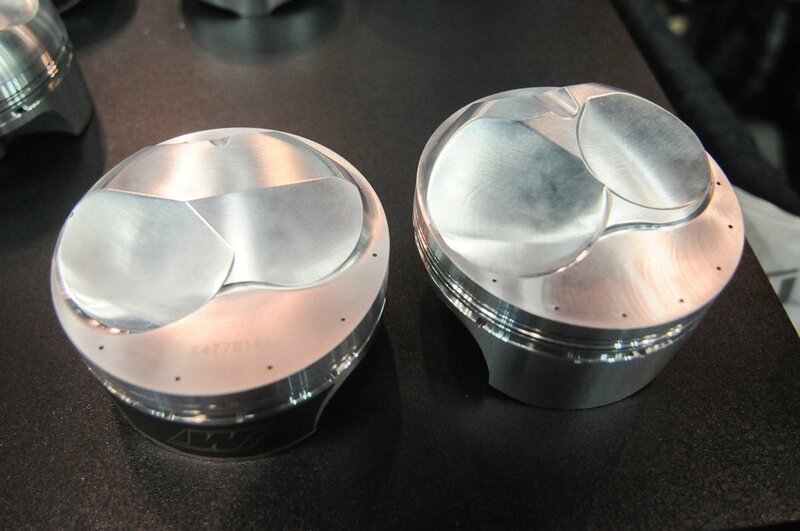 Pulls were made by Eric Rhee at Westech Performance. The main theme in this test is creating tune that’s reliable. Pawlak very much wants to run an entire season on the same engine as he did last year. It’s clearly visible that there’s more power to be made at higher RPM and the engine would have easily made over 1,000 horsepower, but keeping the limiter at 7,200 rpm will increase the overall durability. 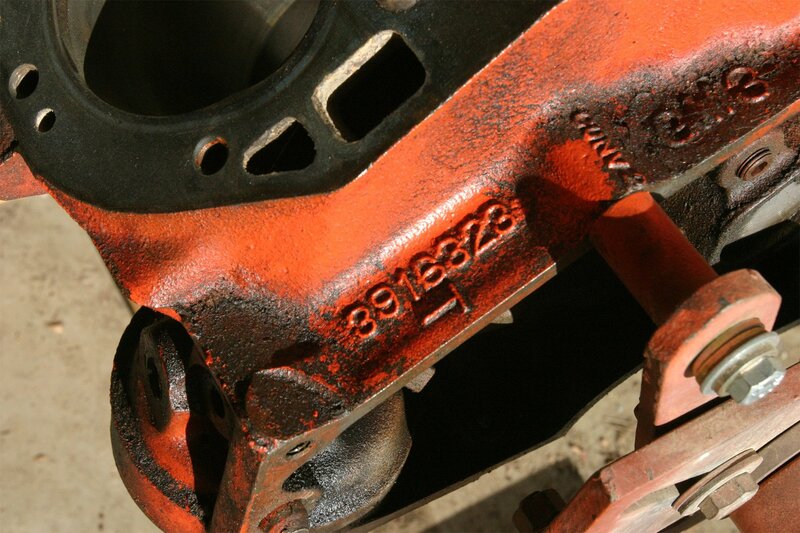 Pulls were made with both 75mm and 69mm supercharger pulleys. 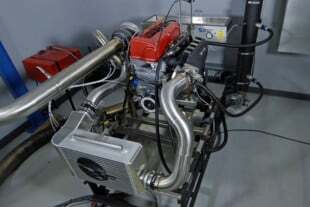 The combination actually made a so much low end torque — 831.6 lb-ft at 4,000 rpm — that Westech had trouble loading the dyno brake and required a 4,000 rpm start point for the pull. 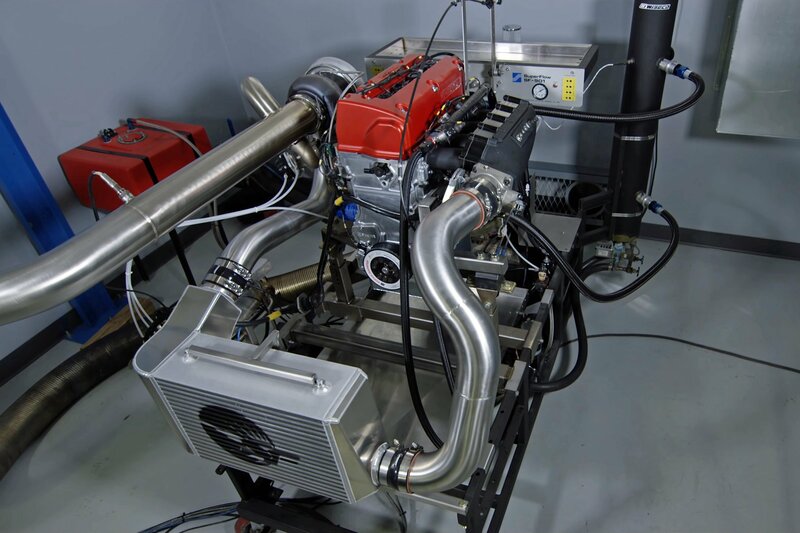 We look forward to seeing what this combination will make once Pawlak puts the engine into his competition vehicle!